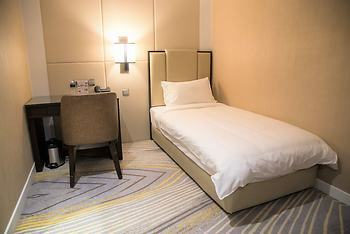 Ambassador Transit Hotel Terminal 2, Singapore, Singapore - Lowest Rate Guaranteed! When you stay at Ambassador Transit Hotel Terminal 2 in Singapore, you'll be connected to the airport, within a 10-minute drive of Singapore Expo and Changi Business Park. This hotel is 5.6 mi (9 km) from East Coast Park and 10.8 mi (17.4 km) from Singapore National Stadium.